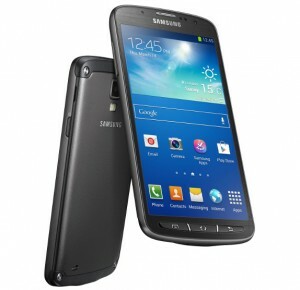 After launching Galaxy S4 Mini, Samsung has announced most expected smartphone, Galaxy S4 Active. The main feature of this smartphone is, dust and water resistant with IP67 certification. And it can be survive being dipped in water for up to 30 minutes. Ear phone jack also comes with water resistant; earphone can also be used during wet conditions. By using this phone, we can pick pictures under the water. It features “Aqua Mode” for taking pictures under the water. Samsung Galaxy S4 Active borrows “Samsung Smart Pause” from Samsung Galaxy S4, it enables the users to control the screen using optical cues. This phone is going to be showcased at Samsung’s Premiere event in London on June 20, 2013. It is comes up with three colors of Urban Gray, Dive Blue and Orange Flare. It also feature “Air View”, by which the user can preview the contents by just hovering their fingers over the screen. The other features like, “Air Gesture”, “S Health” & “S Travel” helps to change music tracks, scroll up and scroll down the webpage with a wave of hand, keep track of our health records and as a Trip advisor. It also features more number of camera tricks like Samsung Galaxy S4. what will be its price?